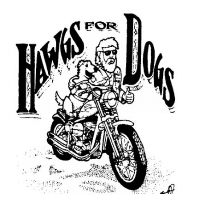 Start polishing your motorcycle for a scenic trip through Southern Maryland’s back roads for the inaugural Hawgs for Dogs Bike Run from IAM Headquarters to the William W. Winpisinger (W3) Center on Saturday, July 12, 2014. The bike run will honor IAM General Secretary-Treasurer Robert Roach, Jr. and proceeds will benefit the Guide Dogs of America (GDA). A discounted early registration fee of $30 per person will last until July 10. On-site registration is $40. Registration will begin at 8 a.m. at IAM Headquarters in Upper Marlboro, MD. The bike run will kick off promptly at 9 a.m. Still want to participate even though you don’t have a motorcycle? No problem. You can follow along in your car with the rest of the bikers to the W3 Center in Hollywood, MD. All participants will receive lunch, a T-Shirt and a do-rag. There will also be a cookout with live entertainment, poker card drawings and raffles. Any questions should be directed to General Vice President Dora Cervantes’s office at 301-967-4702.